Nobody wants to have any trouble on the road-that's why it's important to have your vehicle routinely serviced to keep it in tip top shape. If you're looking to have your Audi serviced in the Spokane area, our location provides quality repairs and the highest levels of customer care. Our Audi Spokane service center is here to keep your vehicle running smoothly in the Spokane, Spokane Valley, Liberty Lake, and Coeur d'Alene areas. 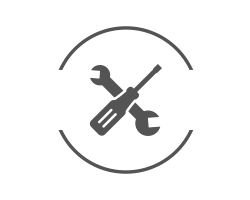 If you're not sure what's wrong with your car, Audi Spokane will diagnose the problem, fix the issue, and get you back on the road in no time at all. What Audi service is near me if I live in Spokane? Do you live in the Spokane, Spokane Valley, Liberty Lake or Coeur d'Alene areas? 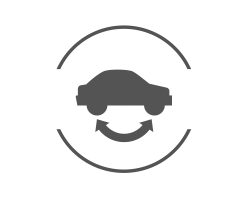 Then, you're in luck, Audi Spokane is a convenient location for all of your service and repair needs. Don't go searching all over the place for just any old place to get your Audi fixed, bring your vehicle to Audi Spokane for expert knowledge and OEM parts specified for your make and model. Does Audi Spokane service all types of Audi vehicles? We can handle any model of Audi that you bring us here at Audi Spokane. Bring in your Audi TT or any other model as soon as something seems awry. What are Spokane Audi's service hours and location? We are conveniently open from 7:00 am to 6:00 pm Monday through Friday. On Saturdays, we are open from 8:00 am to 5:00 pm if you need a weekend fix. We are closed on Sundays. We are located at 10006 E. Sprague Avenue, Spokane Valley, WA 99206. Give us a call at (888) 510-0041 if you'd like to schedule a service. What can expect when I get my Audi serviced? When you bring your car in at Audi Spokane Valley, you'll enjoy a relaxing, stress-free experience. You can make an appointment online or by phone. While your Audi is being fixed, you can hang out in our comfortable lounge with free snacks and beverages. Browse the web or get some work done with our free WiFi or peruse Audi accessories you need to prove you're the ultimate Audi fan. 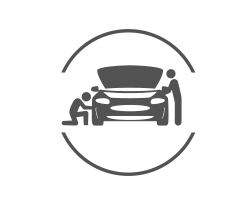 If your vehicle needs more serious repairs, our service center can provide you with a loaner vehicle until yours is done. If that's not an option, we can get you an Uber to work or home at no charge to you! You need to rotate the tires on your Audi to maintain even wear from front-to-back and side-to-side. Having your tires rotated at Audi Spokane on a regular basis will ensure they last as long as possible.